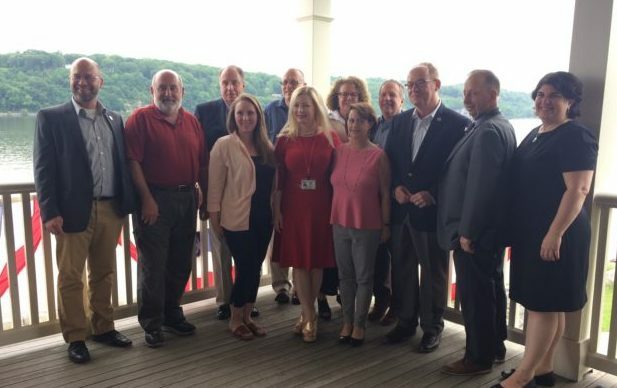 The Hudson 7 is an intermunicipal council representing the seven municipalities that draw drinking water from the Hudson River. The council was officially formed on May 31, 2018 when all seven municipalities gathered to sign an Intermunicipal Agreement. Together, our drinking water systems serve over 100,000 people in Ulster and Dutchess Counties. The water that supplies our drinking water originates from a broad area of the Hudson Valley. View a map of the source watershed. The Hudson 7 came together to join forces to protect our collective water supply through planning, advocacy and action. ​The Hudson 7 is thankful to Riverkeeper for its leadership and support.